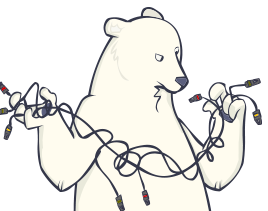 Failed to import appliance /Users/AuvikBear/Downloads/auvik.ova. Could not open the medium storage unit 'auvik-auvik-disk1.vmdk'. VD: error VERR_NO_MEMORY opening image file 'auvik-auvik-disk1.vmdk' (VERR_NO_MEMORY). You’ll see this message if the Auvik virtual appliance has been allocated less than the required minimum 2GB of memory. The solution is to free up at least 2048MB on the host machine for reallocation to the Auvik virtual appliance. If resource reallocation isn’t possible on the current system, we recommend moving the Auvik virtual appliance to another machine with more available memory.